As I’m flying along here, I passed a place of actual significance to aviation. 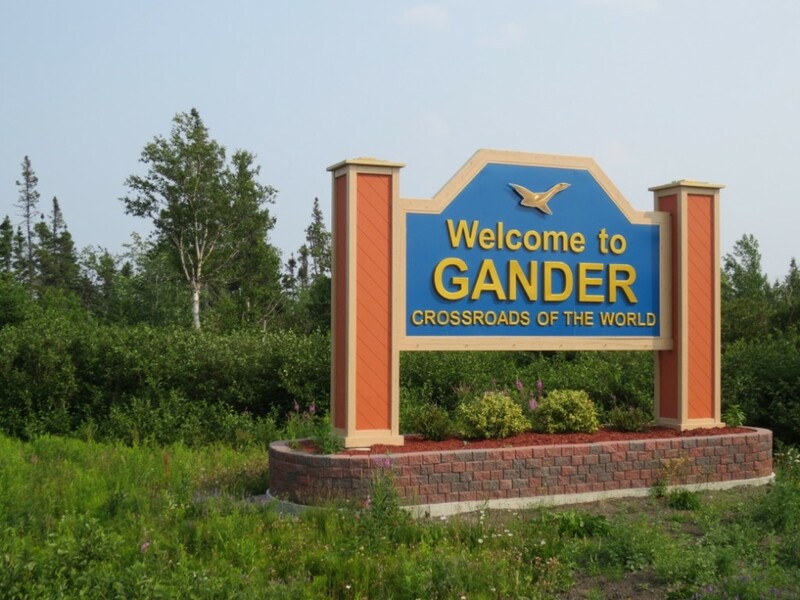 Gander Newfoundland is known as the ‘Crossroads of the World’ because it once served as the waystop for all transatlantic flights. Amelia Earhart also started her transatlantic flight on the island though from Grace Habour, which is closer to St John’s. Before planes could carry enough fuel to make the crossing, this was the closest point to Europe in North America. Gander itself grew up around the airfield after the fact. Because of its strategic position, it was also a very active base during WWII. According to a Newfoundland and Labrador Supreme Court judge I encountered touring back in New Brunswick, numberous US military bases existed on the island for a time. With the many local women who married US servicemen and the shared maritime history with New England, he said locals tended to think very highly of Bosotn US as he said it was referred to. Gander is still a preferred stopping point in cases of emergency for flights coming over the Atlantic. A very moving example occurred on September 11th when over 6600 people, equivalent to 66% of the local population, were divert to the airport. Locals banded together and got everyone fed and housed while they were in town. Stuart McLean did an excellent segment about the town and the airport on his show “The Vinyl Cafe;” it’s worth a listen. And this gets me to my observation about how friendly people are on the island. Per usual people ask where I’m going at rest stops but I’ve noticed a lot more supportive honking on the road. In fact, quite a bit and I’m loving each one. I assume the supporters have an inkling that I’m on a cross country trip. There are only two routes to St John’s and most transcanada bike tours end here. I think the names I’m getting called are also signs of friendliness but it could just be force of habit. I started hearing “dearie” early in the Maritimes but now I’m also hearing “my boy” and the most unusual “my lover.” The latter was from the woman who registered me for my campsite tonight. I was a little taken aback. We had after all just met and without exchanging names but “my lover” it was. The road is much the same as yesterday in condition and scenery with a few hills thrown in. It was very nice to see your article on Gander. I grew up there just after the war and one of my major preoccupation is to keep its early history alive. Anyone interested in the remarkable history of Gander can learn more on my (non commercial) website… Keep on peddling! !